The No. 6 Seward County Lady Saints won their 30th straight Jayhawk Conference match after sweeping the Butler Grizzlies 25-13, 25-13, 25-19. 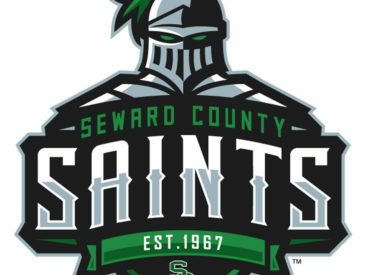 Seward came out rocking in the first set, winning ten of the first twelve points to take a commanding eight-point lead. Seward took a ten-point lead midway through the set with a Djuly Schmorantz kill to make it 16-6 and force a Butler timeout. The lead was pushed to twelve by the end of the set, capped off by a Laura De Pra ace, to win the set 25-13. The Lady Saints continued their hot play, jumping out to a 7-3 start in the second set before the Grizzlies took a timeout to try to slow the momentum. Seward’s lead ballooned to ten points late in the set following a Grizzly attacking error to make the score 19-9. Just as the first set, an ace ended the second set to give Seward the 25-13 set two lead to give the Lady Saints a two-set advantage. Set three began as the most competitive between the two teams, as they traded points for the first twelve points. With the match tied at six, the Lady Saints went on a 3-0 run, forcing a Grizzly timeout. After taking a six-point lead, Butler went on a 5-0 run of their own to come back into the set before Thais Vieira ended it with a back-slide kill. The kill was enough to switch the momentum back into Seward’s favor as the Lady Saints went on a 5-0 run to increase their lead to six points, as they won 25-19. Seward finished with a .441 attack percentage with 37 team kills. Djuly Schmorantz and Dorianne Lebron finished with a team-high eight kills. The eight kills were a career-high for Lebron. The Lady Saints were paced by Laura De Pra, who finished with 30 assists. Seward will head to Tyler, Texas for a tough weekend as they play No. 6 Navarro and North Central Texas on Friday before taking on Blinn and No. 13 Tyler on Saturday.